There are many medications available to treat the symptoms of asthma, the truth is that there is no cure for asthma. Scientists and the medical profession have so far failed to come up with a cause or an actual reason why some people are prone to being asthmatic while others are not. There is a wealth of knowledge available about how the immune system and asthma interact but still as yet there is no known cure. 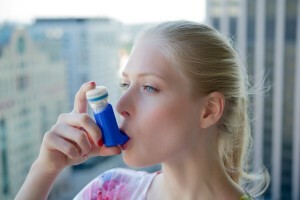 Asthma is an inflammatory disorder or process and various medications will help to decrease the inflammation none can actually cure the inflammation completely. The good news is even though is no cure for asthma it can be controlled with proper treatment. Preventions and relieve of major symptoms can be done with medications and a treatment plan worked out with you and your doctor. Many home cures are offered on today’s market, natural healing and old wife’s tale style cures out there but none of these have been proven to be a true cure for asthma. Some of the natural or home remedy cures offered are things like the use of B6 and B12 vitamins but in reality they just decrease the inflammation in the young but do not cure it. Ginkgo biloba is an herb cure that may decrease the frequency of asthma attacks but again no cure. Mullein oil may help to reduce the respiratory congestion if used in tea and in China-Shuan Huang Lian is a strong mix of herbs that is actually used in hospitals to treat asthma and bronchitis but its medicinal power as a cure is doubtful. Other teas using such herbs and roots as powdered Indian root, Echinacea root, chamomile flowers, mullen leafs, ginger, and passionflower leaves all offer some small comfort it is reported but again no cure. Honey, garlic, turmeric, Bitter Gourd, dry figs, Indian gooseberry, linseed…the list goes on and on in so many combinations but none alone or in combination will cure asthma. activity, trouble walking and talking, faintness or dizziness, blue lips or fingernails and fear and anxiety. Once you reach red zone you are in a life threatening situation and should not hesitate to call 911 and get immediate emergency care. With a proper asthma action plan worked out and explained by a doctor and written down for you will be able to constantly know in which Zone you are in and what steps you should take to alleviate or lesson any symptoms or what action you should take to regain control of your asthma.